New London Architecture, Store Street London WC1 Until 12 June. Panic in the streets of London! Oh no, a wave of skyscrapers threatens to obliterate the city as we know it! What can we do? We must have a serious debate, of course, with lots of media coverage... and maybe an exhibition could tell us what we're actually dealing with. Enter the NLA, with its show called London's Growing Up! It's exactly the right place to parade renderings and models of the current batch of high-rise proposals and offer some perspective. The 1:1500 model of London, 12m across from Battersea to Beckton, is now adorned with markers like cocktail sticks, pinpointing most of the projects on show. Only Croydon, where a major cluster will overwhelm the current modest brutalist stumps, is ignored visually in this show. The 'debate' about high-rise in London is nothing new. Eight years ago, I wrote the book on the subject, called London High. That was when Foster's Gherkin was completing and Mayor Ken Livingstone was ushering a host of other 'icons' on to the skyline stage. The heritage lobby led by English Heritage howled, public enquiries ensued, but London skyscrapers were back -- a few, anyway. Even then, there was a sense of deja vu. In the early Sixties, local authorities were building forests of tower blocks and Richard Seifert's great commercial towers, including Centre Point, were on the rise. London survived and nowadays its cityscape is arguably stronger than ever. 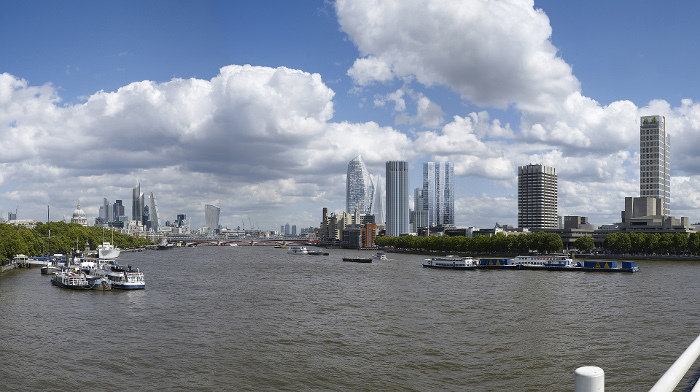 Indeed, a survey commissioned by the NLA indicates that 46 per cent think 'tall buildings make London better' while just 25 per cent disagreed. Great swathes of London remain high-rise free because boroughs such as Westminster or Kensington won't have them. Who needs a Skyline Commission, as some demand, when local authorities as well as robust viewing corridor legislation already exert bureaucratic control? But before we shrug the current high-rise boom off and identify the elephant in the room, what other evidence does this show present? Anyway, how high are these 236 London projects identified at the NLA? Only 92 actually exceed 100m in height, and since it's counted an Ian Simpson-designed Docklands tower called Dollar Bay twice (as he confirmed to Blueprint), that's 91. So the majority are mid-rise humdrum residential towers of 20 or so storeys. It's just like in the Sixties -- except these are luxury flats, not social housing. That's the elephant in the room: London's insane property market, which competes with New York and Dubai for the global super-elite. Like Swiss banks before international banking standards caught up with them, London property has become the place to park the dosh, no questions asked. The obscenity is not that buildings are getting taller, but that the genuinely affordable housing being built in most schemes is negligible or non-existent. These developments aren't all high-rise -- densification can be achieved with mid-rise. Why are we tearing down Earl's Court Exhibition Hall? It's a thriving, world-famous icon, bursting with political and cultural history, and London's unique example of Art Moderne style by C Howard Crane, one of America's most accomplished inter-war architects. It's to create 1,300 flats that virtually no working Londoner can afford. The 21-storey heights here are not the issue. Back in the NLA, it's clear that future icons will have a hard time competing with The Shard, Gherkin and Cheesegrater for their genuinely iconic status. 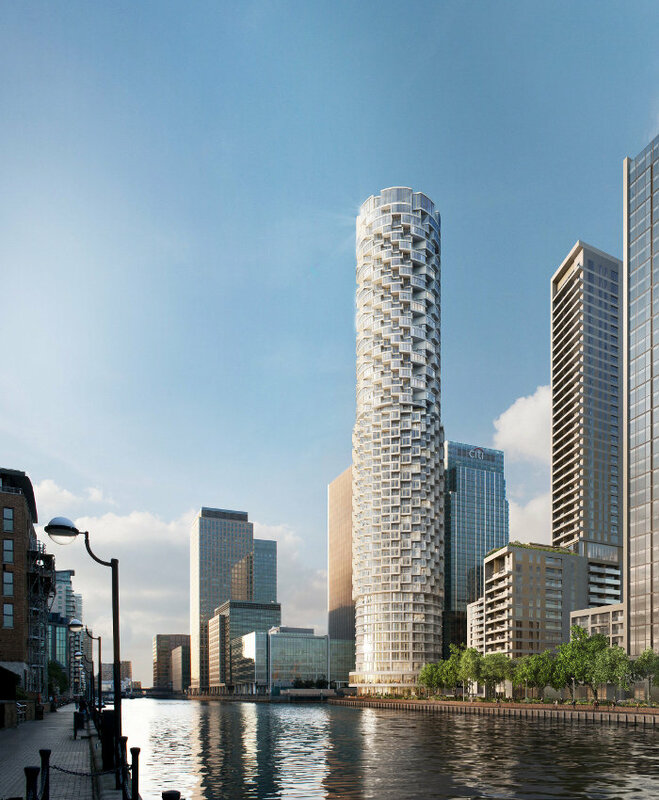 Nevertheless, there are some great designs here, such as Herzog & de Meuron's cob-like 55-storey WoodWharf residential tower, or Make's 31-storey Southwark student home The Quill, with its spikey protrusions. 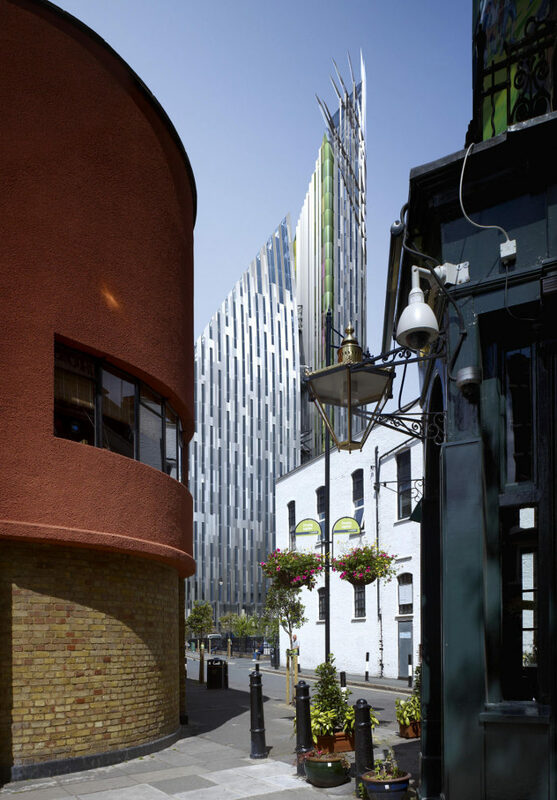 Allies & Morrison's replacement for the irreplaceable mid-rise telex hub Keybridge House in Vauxhall is a handsome trapezoid tower in the style of German brick-clad skyscrapers, such as No.1 Potsdamer Platz. On the opening night of London's Growing Up! a leak caused water to drip on a model of RSHP's NEO towers, already built just behind Tate Modern. It had to be removed. Some will wish unbuilt projects could be similarly washed away. Many more will be thrilled by the planned new towers, especially the soaring ones. Some do indeed push rudely into their surroundings -- this show lets you be the judge. But no building is as rude as London's property market -- this show left that issue alone.